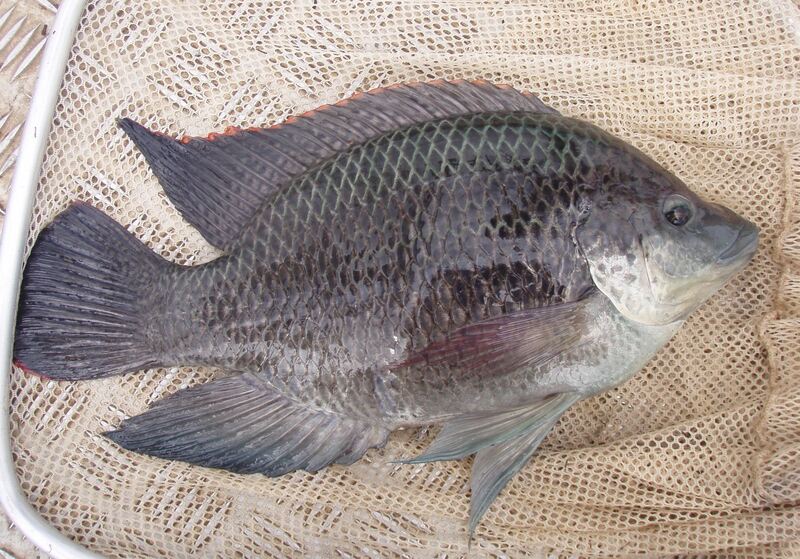 Threats and Impacts: Mozambique Tilapia (Oreochromis mossambicus) is a major pest fish species in Australia (Fig 1). A successful invader, it has managed to dominate natural waterways into which it has been introduced. It is not currently found in the Murray–Darling Basin; however, it has established thriving populations in catchments neighbouring the Basin. In some places, it is only a short distance from the northern headwaters. There is a high risk that this species will be introduced to the Basin. Project aims and methods: Despite the high risk of introduction, prior to this project minimal work had been done to estimate the potential range Tilapia might occupy in the Basin, or to predict its possible impacts on natural, economic or social assets. This project set out to review available literature and assess likely impacts in an attempt to provide some information about these potential threats. determine the portion of the year in which Tilapia may feed and is therefore likely to have impacts on ecological processes through the food web. using the distribution of native fish with similar temperature tolerances to Tilapia as a surrogate. Findings: Tilapia has a wide and varied diet and can occupy a diverse range of habitats, however, the one factor that appears to affect Tilapia is its vulnerability to cold temperatures. 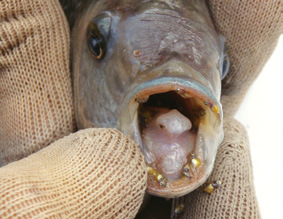 Based upon minimum temperature tolerated by Tilapia and the minimum water temperature data available, Tilapia have the potential to infest the northern Basin in Queensland and parts of New South Wales, through the western inland catchments of NSW and down to the Lower Lakes and lower Murray in South Australia. This equates to a distribution occupying approximately half of the MDB. Tilapia is capable of sustaining reproducing populations under the conditions found in much of the MDB, as breeding and feeding can occur for significant portions of the year. In the northern parts of the Basin, and many southern parts, median water temperatures could see a breeding season of at least 3–6 months in duration with around 4–6 broods for each female in each breeding season. undermining river banks due to destruction of river plants and nesting behaviour. Review of recent studies indicate that Tilapia consume juvenile native fish, including members of genera that occur in the Murray–Darling Basin, such as Rainbowfishes (Melanotaeniidae), Carp Gudgeons (Hypseleotris spp. ), Hardyheads (Atherinidae), Bony Herring (Nematalosa erebi) and Glassfish (Ambassidae). 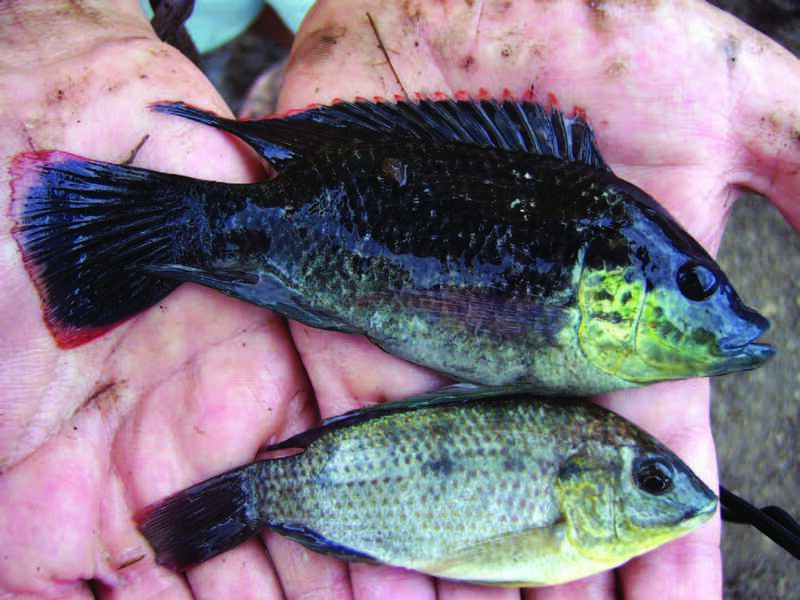 It is possible that the potential preying of tilapia on native fish has been underestimated. Lessons learned and future directions: This project highlighted that invasion of the MDB by Tilapia could be disastrous for many (up to 18) native fish species of the MDB. Areas and species most at risk from Tilapia and the likely impacts if invasion occurred were identified. The study recommends a ‘prevention is better than cure’ approach with respect to Tilapia invasion and highlights education and awareness as a key factor. This review should be most pertinent in areas close to current distribution of wild tilapia populations (i.e. north-eastern MDB). This entry was posted in Fish, Freshwater aquatic, Pest animal issues & solutions, Pest species, Riparian & stream ecology. Bookmark the permalink.